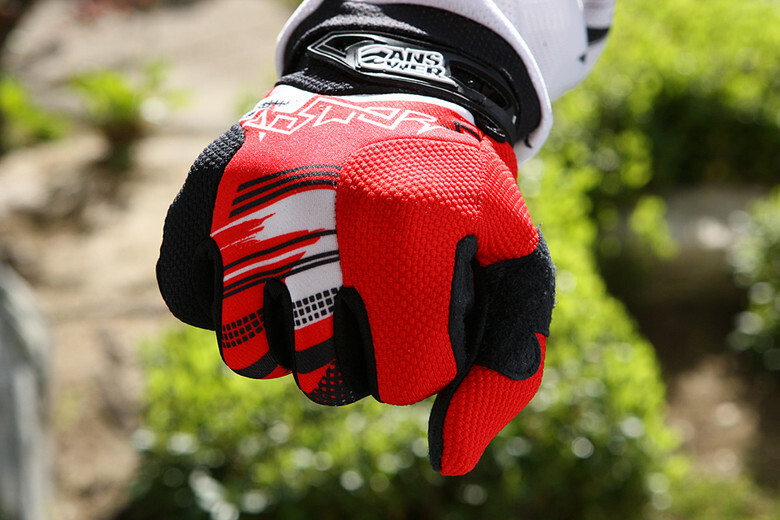 Our pals at Answer Racing have been making a variety of cool gloves forever, and offered up five pairs of gloves to give away over five days. So what do you have to do for a chance at one of these? Simple. Like Answer Racing and Vital MX on Facebook, then leave a comment on each of the five days, letting us know that you'd like a five-finger (okay, ten-finger) discount on a pair of sweet gloves. Yep, you can enter for every day of the five, but please only one entry per user. Yes, you have to be a member of Vital MX to comment, but signing up for Vital MX is fast and free, and you can also use your account to upload photos and videos, or jump into the forum. Today's pair of gloves? They're Answer's Synchron model, which have multiple panels of stretch fabrics to optimize fit and comfort, along with an ultra-soft rubber wrist closure, one-piece palm with light internal padding. Thanks to the crew at www.AnswerRacing.com for the assist. new answer gloves yes please they look sweet and mine have well and truly seen better days!! I'd like a 10 finger discount on some Answer gloves please!!!! i need some comfy gloves! hit it up lemme get a pair! Nice! Looks like a quality product - would love to give them a try! I think everyone could always use another pair, especially offroad guys. Mine tore a hole last weekend! I need a pair! Do the Stewart Editions gloves come with a Supercross only contract? Season is beginning in Iowa and new gloves would be great! nice ! great looking and quality gloves!!! Yes please I'm definitely in need of some! Sweet I need some new gloves-surely would make me faster ! Sweet pair of gloves to go with my answer synchron gear! The gloves were so awesome somebody took a ten finger discount on mine, so I want to take a ten finger discount on yours!